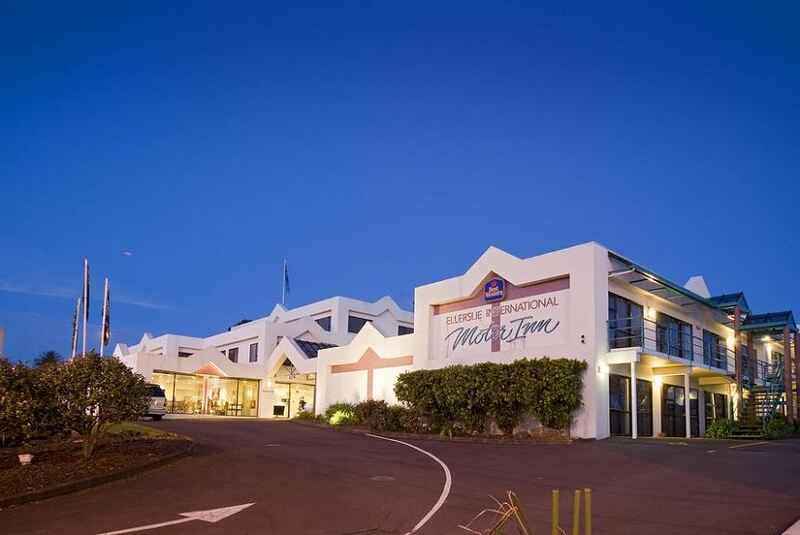 Just 7 km from central Auckland, the Best Western Ellerslie International is a 4-star property offering spacious accommodation in a convenient location. Enjoy a heated outdoor swimming pool and on-site restaurant and bar. The Ellerslie has 54 comfortable guest rooms and suites with flat-screen satellite TV. Guests can choose between the spacious rooms and studios offering open-plan living to the larger family units and suites with kitchenette facilities and separate sleeping and living areas. The hotel has a restaurant which is open daily for breakfast and dinner and serves a good choice of seasonal dishes. There is also a licensed bar at the hotel. Leisure facilities at the Ellerslie include an outdoor heated swimming pool. Guests can also enjoy free off-street car parking at the property. The Best Western Ellerslie International is only 5 minutes' drive from The Ellerslie Conference Centre and 9 km from the famous Vector Arena. Auckland International Airport is 16 km away.